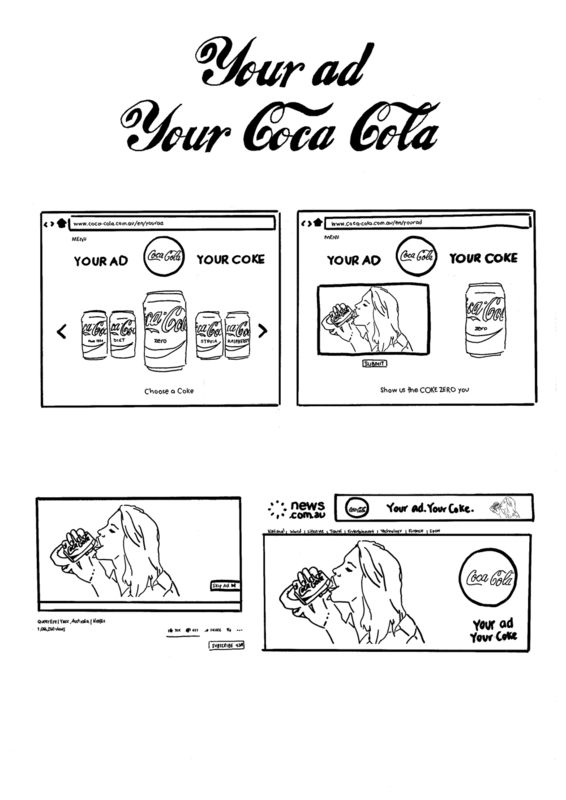 For the AWARD School digital brief, we were asked to target millennials and show them that no matter what mood or moment, there’s a Coke for every you. Picture-perfect Coke ads just aren’t resonating with millennials. To combat this, we'll create a site that allows millennials to make their own Coke ads, featuring themselves. These ads will then be distributed throughout the internet in banners, pre-rolls, page takeovers and more. Your Coke, your ad, your face all over the internet. 1. Users choose their Coke flavour. 2. They upload gif or image ads for each Coke flavour. 3. Their own ads are retargeted back at them, learning their mood from their browsing history.